Samford University pharmacy professor and Department of Pharmacy Practice chair Michael D. Hogue has been named associate dean for Samford’s Center for Faith and Health. A cornerstone of the College of Health Sciences, the center provides opportunities for students, faculty and volunteers to serve external communities through a variety of faith and health initiatives. As associate dean, Hogue will provide leadership, strategic direction, coordination and oversight of outreach services, projects and programs in the schools of health professions, nursing, pharmacy and public health. He will work with faculty and staff throughout the college to strengthen external partnerships while maximizing involvement and minimizing duplication. Hogue will maintain a faculty appointment within McWhorter School of Pharmacy and will report to the vice provost of the college. 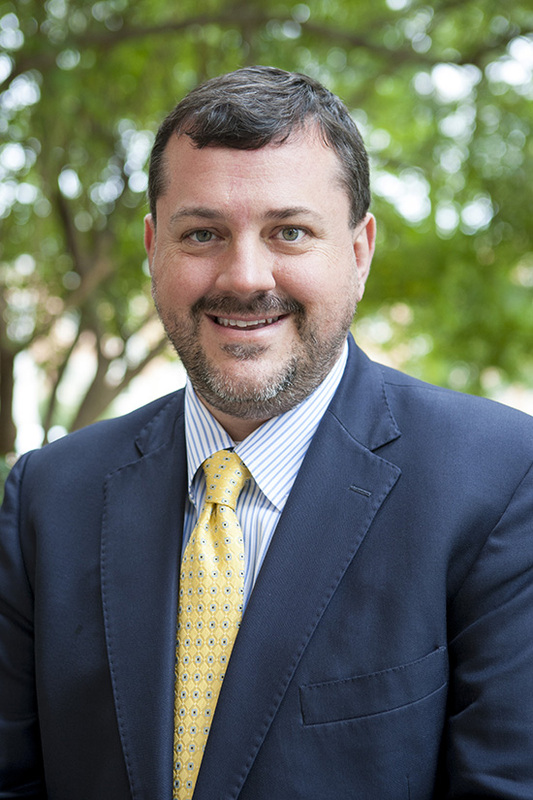 Hogue, a McWhorter School of Pharmacy alumnus, joined the faculty in 1999. Since 2008, he has led the school’s global program, growing it from approximately 12–20 students studying abroad in 2008 to more than 100 students engaged in global service and education in 2016. He also initiated a program to ensure that every pharmacy student completes at least one experiential course in their 4th year in an underserved community, with the majority doing so in Alabama’s Black Belt region. Hogue’s commitment to service extends far beyond the profession of pharmacy and Samford University. He is a member and ordained deacon of Gardendale’s First Baptist Church, and he serves as a member of the church’s mission leadership team. He also leads the church’s annual mission trip to Southeast Asia and is a former member of the finance committee. An advocate for public health and professional leadership, Hogue has a long history of working with various state societies of nursing, and state and national medical societies, as well as patient advocacy organizations, to raise awareness of preventable diseases and to improve public health through vaccines. He is a frequently invited speaker at practice-based professional society meetings related to vaccines, and has conducted research and published dozens of papers in the areas of vaccines and immunization practice. Hogue is a member of the Gardendale City Schools Board of Education, and is actively involved with the National Foundation for Infectious Diseases, the Gerontologic Society of America, the American Society of Health-Systems Pharmacists and the American Pharmacists Association. Hogue’s appointment is effective summer 2016.